I get many questions via email and personal conversations. 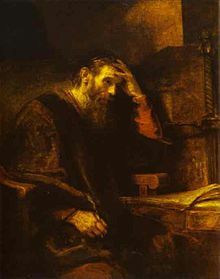 One common one is, “Did Paul make a preaching mistake at Athens when he quoted Greek philosophers?” This question arises because many have heard preachers, some with strong personal conviction, share how the Apostle Paul made a mistake in his Mar’s Hill address to the Athenians. (Acts 17:22-34) This position was made prominent by William Ramsay. (1851-1939) It was also presented by F.F. Bruce (1910-1990) years ago when he said in his book, “Paul: Apostle of the Heart Set Free,” that Paul’s ministry in Athens was a failure because he failed to preach the “word of the cross.” (p.246) But is this correct? We need a little background before answering this question. Paul visited Corinth immediately after leaving Athens. (Acts 18:1) While reminding the Corinthians of his visit to them, he wrote and reminded them how he came preaching “Christ crucified” and not “with lofty speech or wisdom.” (1Cor. 2:1-5) From this passage, many teach that Paul learned a meaningful lesson and was admitting to a fundamental mistake in his approach and discourse when he spoke to the Athenians by quoting their philosophers and poets. Also, they argue, Paul did not establish a church in Athens. Therefore, we have several questions which arise from this explanation of the text. Does the position that Paul made a mistake in his preaching at Athens accurately represent the biblical text? Was Paul admitting in Corinthians that he had made a mistake in his approach at Athens? Did he fail to properly present the gospel? Here is my brief explanation on the subject after many years reading and praying through each side. I do believe there are godly and sincere believers on each side, therefore, my take on this is not meant in any way as a slap at those who disagree, but rather as offering as to why I do not believe Paul made a mistake in presenting the gospel at Athens. 1) Paul never states he made a mistake at Athens. The biblical text just plainly does not inform us of such. To read that into his letter to the Corinthians is more eisegesis (reading into) rather than exegesis. (reading out of) He simply reminds the Corinthians of the simplicity of the Gospel he preached everywhere. An argument from silence is not a sufficient argument. 2) If Paul did make a mistake at Athens, then we, by way of consistent interpretation, should say that his teaching at Lystra was also a mistake as he followed the same theological themes. (Acts 14 and Acts 17) The themes for both messages were: God as Creator (14:15, 17:24), God as giver of life (14:15, 17:25-26), the Witness of God in creation (14:17, 17:26-27), the ignorance of previous generations (14:16, 17:30), and a call to repentance (14:15, 17:30). In fact, we find that in the epistle to the Romans, Paul uses and expounds upon these very themes. He addressed God as Creator (Rom. 1:19-20), God as giver of Life (Rom. 1:25), the Witness of God in creation (Rom. 1:22-28, 2:14-15), the ignorance of previous generations (Rom. 3:21-24, 10:3), and a call to repentance (Rom. 2:4, chapters 4,5,10 “faith in Christ and repentance are inseparable”). I do not know of any genuine minister who wants to say Paul misspoke or failed to present the gospel in Romans. In his voluminous work, Francis Schaeffer said Paul’s speech at Athens was shortened by the unbelievers, but he got to expound on it in his letter to the Romans. The above references from Romans seem to point this out. 3) Paul wrote to the Thessalonians about his ‘entrance’ unto them. (1Thes. 2:1-8) Because he visited Thessalonica before Athens, we can discern from his first letter to them about his mode or conviction concerning presenting the gospel. He spoke of sharing the gospel and “not pleasing men” (v.4), but to “please God” (v.4). Paul said he never came with “words of flattery” (v.5), nor for “glory from people” (v.5). Since this was Paul’s conviction before coming to Athens, one is hard pressed to say he violated his own method of preaching. His quotations of the Greek philosophers were not flattery speech, but points of entry. My personal conclusion is solidified to me from the above sections as well as one final thought. In fact, it is this letter to the Corinthians which answers our question. The Apostle Paul gave the Corinthians, and the Church universal, this mandate. Pretty simple really. Paul used it everywhere he preached and he teaches us to use it. Find the entry point into a person’s life and use it as a springboard to present and offer the Gospel. Let us free ourselves from religious-eese and converse with our fellow man in his language without changing the message of repentance toward God and faith in the Lord Jesus Christ. Athenians were too sophisticated to fall for a non-European/Semitic religion, one based on simplicity and false-realities like the weak shall rule, etc. Steven, you are wrong on several accounts and offer a straw man argument. The provinces of Greece responded enthusiastically to the Gospel…including in Athens! Dionysius, mentioned in the account of Acts, became the first bishop in Athens–verified through archeology and written history. False realities?? Take a look at the self-defeating and mythological religions of ancient Athens. Now that takes intellectual weakness and superstition to believe. Well written article. I really enjoyed it. And I agree with you, Terry. I’m so thankful to have read your article. I’m working on the Sunday school lesson for Acts 17. I know that I am influenced by my forty years of teaching, but I think Paul used a perfect persuasive format. All of the elements are here — a thesis, supports, and a conclusion that provides a call to action. Also, when he leaves, he leaves them wanting more. I think that is brilliant. The seeds were planted.